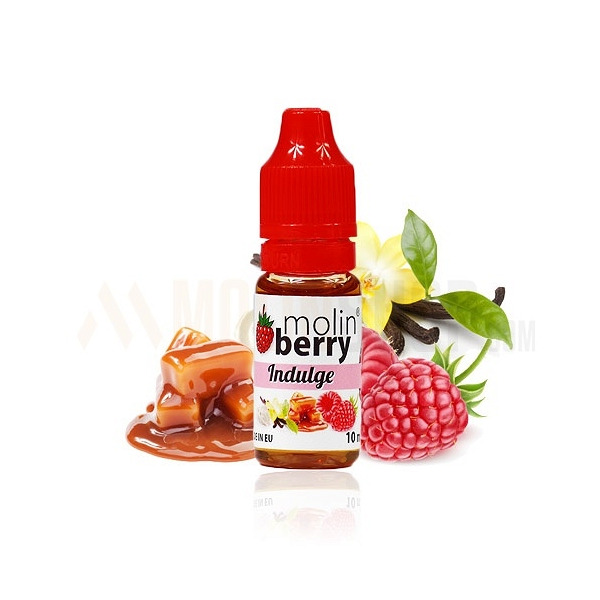 Indulge 10ml. Indulge yourself with a luxury INDULGE flavour. Masterpiece blend of gold caramel, custard vanilla and juicy Raspberry finished with incredibly sweet cocoa. Special treat for sweets lovers. Perfect with ice cream, cookies and other gourmet flavours. Recommend percentage % use: 4%. Bottle 10ml made from PET material, childproof cap, long, thin dropper. Produced in EU.